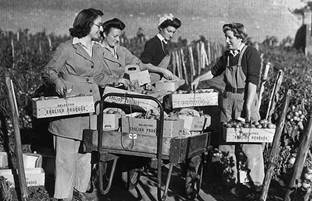 Seven and a half million women were moved around Britain to work during WW2. Before the war started it was usually men who went out to work, while most women stayed at home and looked after the house and their children. For many women the Second World War was the first time they had ever gone out to work. The women took over the male jobs while the men were fighting. 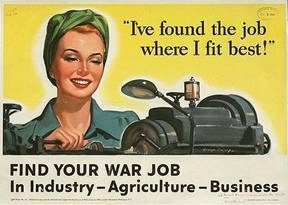 There was a lot of propaganda at the time to advertise the jobs and convince the women to go to work. 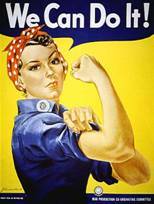 Women were first called up by the government for work in March 1941. 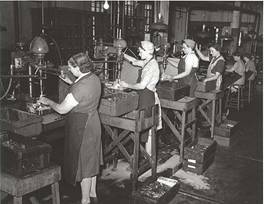 At first, only single women aged 20-30 were called up, but by 1943 many married women were working in factories, on the land or in the armed forces. Huge numbers of women were involved in the war effort and 640,000 of them joined the armed forces even though they didn’t have to; 55,000 women served with guns and provided essential air defence and 80,000 women worked in the land army. What jobs did the women do? There were many jobs women did during the Second World War, they included: joining the services (WRAF, WREN and ATS); mechanics; all types of factory work including gun, bayonet, bomb and airplane making; building ships; air raid wardens; driving fire engines; the women's voluntary service (WRVS); plumbers; ambulance drivers; nurses; engineers; tank drivers and the women’s land army; women also took over running businesses, in fact almost any job a man did a woman could do it too. The government needed to increase the amount of food produced in Britain. 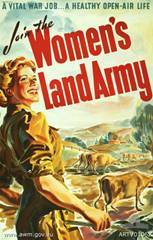 This meant that more help was needed on the farms, so the government started the Women's Land Army in June 1939. 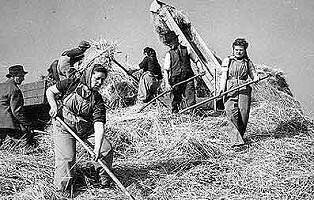 The girls of the women’s land army did lots of different jobs, some of these were: looking after animals, ploughing fields, digging up potatoes, harvesting the crops, killing the rats, digging and hoeing, which they did for 48 hours a week in the winter and 50 hours a week in the summer. 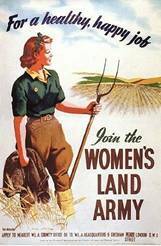 In 1939 land girls earned £1.85 a week by 1944 the wages had increased to £2.85. Margaret Pearson's story of being a land girl. Mechanical teats or udder bliss! "Expectations of a pending war loomed on the horizon one year prior to the actual outbreak on Sept. 3rd 1939. In 1938, being 18 years old, I knew that my “call-up” was inevitable and having been born into and living the first 8 years of my life within the atmosphere of a Cavalry regiment background, it was automatically assumed by my parents and myself that a female section of the army would be my choice." 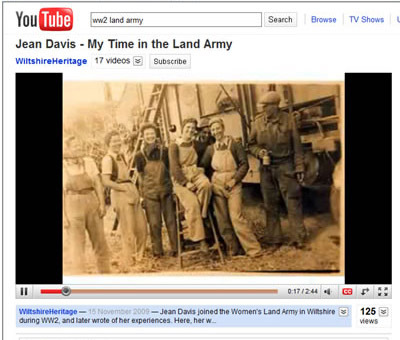 Jean Davis - "My time in the land army"